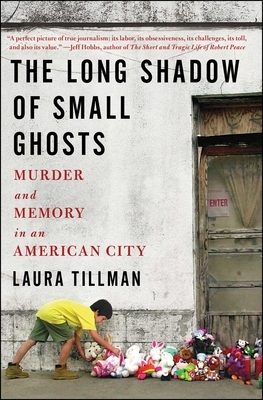 A lucid and absorbing mixture of true crime and sociology, Tillman's book examines the effects on South Texas society surrounding the decrepit building where three children were horribly murdered in 2003. While examining the life the children led, Tillman contemplates the role poverty and drug addiction played in their lives and deaths; as a reporter who is sympathetic to life in South Texas, she fills her narrative with the voices of people who live in the neighborhood, the police who investigate the crime, the prosecutors who ran the trial, and people from the Valley who know the story. There is a sense of injustice that never goes away - this sadness permeates the story in ways that will haunt you long after you have put the book down. Ultimately, Tillman illustrates that it is the transformation that time brings that can bring some sense of closure to a city traumatized by such a shocking act. "A haunted, haunting examination of mental illness and murder in a more or less ordinary American city...Mature and thoughtful...A Helter Skelter for our time, though without a hint of sensationalism--unsettling in the extreme but written with confidence and deep empathy" (Kirkus Reviews, starred review). On March 11, 2003, in Brownsville, Texas--one of America's poorest cities--John Allen Rubio and Angela Camacho murdered their three young children. The apartment building in which the brutal crimes took place was already run down, and in their aftermath a consensus developed in the community that it should be destroyed. In 2008, journalist Laura Tillman covered the story for The Brownsville Herald. The questions it raised haunted her and set her on a six-year inquiry into the larger significance of such acts, ones so difficult to imagine or explain that their perpetrators are often dismissed as monsters alien to humanity. Tillman spoke with the lawyers who tried the case, the family's neighbors and relatives and teachers, even one of the murderers: John Allen Rubio himself, whom she corresponded with for years and ultimately met in person. Her investigation is "a dogged attempt to understand what happened, a review of the psychological, sociological and spiritual explanations for the crime...a meditation on the death penalty and on the city of Brownsville" Star Tribune (Minneapolis). The result is a brilliant exploration of some of our age's most important social issues and a beautiful, profound meditation on the truly human forces that drive them. "This thought-provoking...book exemplifies provocative long-form journalism that does not settle for easy answers" (Publishers Weekly, starred review).